Saeed Juma came off the substitutes’ bench and converted the winning penalty as Shabab Al Ahli Dubai Club pulled off an epic quarter-final victory against neighbours Al Nasr in the President’ Cup. In a tense clash at Al Wasl’s Zabeel Stadium, all the drama was saved for the final throes. Replacement Mohamed Al Akbari rounded goalkeeper Majed Nasser in the 79th minute and blasted into an open goal, via the crossbar, to put the Blue Wave in front. The 2014/15 champions, however, could not hold out and Moldova forward Henruque Luvannor scored an 89th-minute spot-kick, on the rebound, to earn extra time. Chances then came and went prior to a shootout in which 25-year-old Juma registered the winning effort. Elsewhere on Saturday night, Sharjah remain on course for a remarkable double after defender Abdullah Ghanem produced a scruffy extra-time header to earn a 2-1 win against valiant Emirates Club at Fujairah Stadium. 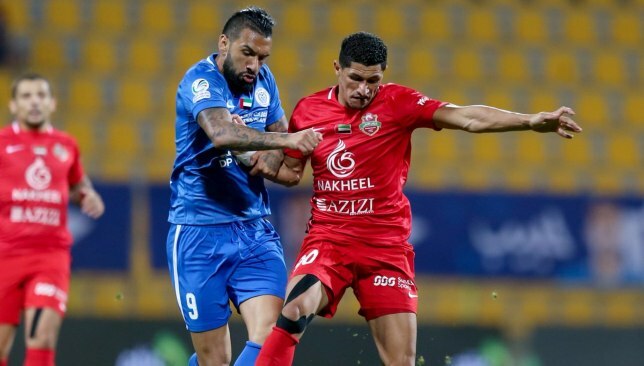 The unbeaten Arabian Gulf League leaders went ahead in style during the 13th minute, through Cape Verde winger Ryan Mendes control and low finish. Victory was then snatched from them when midfielder Hossam Loutfy pounced from close range in the 94th minute. Ghanem then had the decisive touch after a goalmouth scramble. 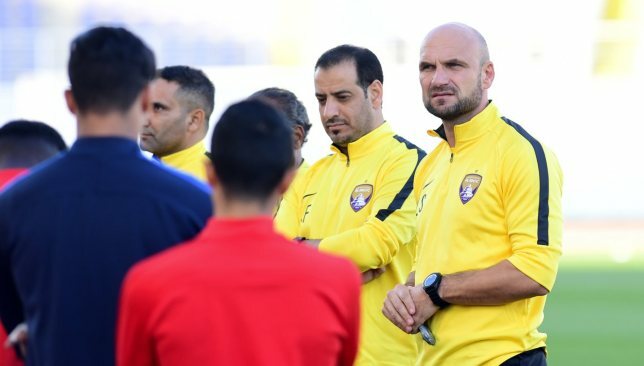 Caretaker boss Zeljko Sopic has urged Al Ain to ignore the Abu Dhabi derby hype and solely concentrate on magnifying their own strengths in the critical clash with Al Wahda. The Boss’ first match without Zoran Mamic, who defected late last month to Saudi Professional League holders Al Hilal, saw them register a frustrating goalless draw with lowly Emirates Club. They will hope to narrow the five-point gap to unbeaten leaders Sharjah on Sunday when Henk ten Cate’s revitalised Clarets come to Hazza bin Zayed Stadium. “It is very important to focus on preparing ourselves as required, before thinking about the opponent ‘s style,” said ex-Under-23s manager Sopic. “We trust in the ability of the Al Ain players to show their best and achieve a strong result. Wahda finished second behind the Boss last term, but an awful first half of the campaign saw Laurentiu Reghecampf sacked in November. Al Jazira icon ten Cate then answered an emergency call. The 64-year-old’s first top-flight game in charge witnessed four first-half goals scored in an eventual 4-2 triumph against Ittihad Kalba when the winter break ended. “I always enjoy playing big games,” said the 2015/16 President’s Cup and 2016/17 AGL winner. “This is also the same for the players, and it makes things easier for the coach. “The players have the motivation to play these games and provide the best level. Arabian Gulf League side Al Wahda broke ranks on Saturday and demanded “an emergency general assembly” to discuss the future of the current UAE Football Association leadership, in the wake of a disappointing Asian Cup 2019. Dreary football and mixed results under the stewardship of, now departed, coach Albert Zaccheroni fed into a continental tournament during which the hosts stumbled out at the semi-final stage. Disquiet about the stewardship of president Marwin bin Ghalita – elected on April 2016 for a four-year term – was solidified further at the weekend. “Al Wahda demands that the board of directors of the UAE Football Association clarify the facts and circumstances of the national football team during the period leading up to the Asian Cup, during the participation in the tournament, the previous period and impart the facts transparently to the public,” last term’s runners-up tweeted in Arabic. 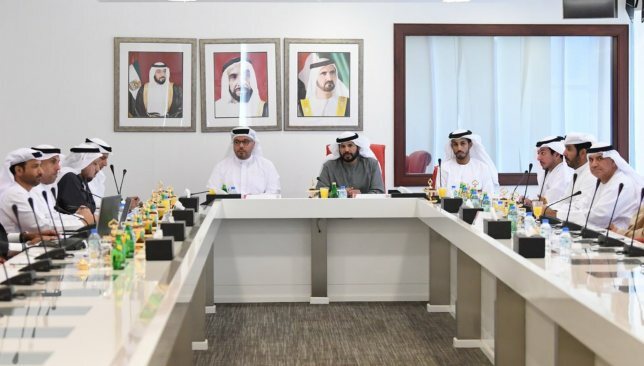 For their part, a meeting of the UAE FA board of directors at their Al Khawaneej headquarters saw voicing of contrition about the Asian Cup and “desire to work towards preparing” the UAE to make World Cup 2022. A statement said: “The UAE Football Association stressed that the ambition was the arrival of the team to the final and to achieve the title of the championship to write a new history of the UAE football, but football runs to its own logic. The UAE FA are still yet to confirm friendly opponents for next month’s international window.